If you are just crawling out from under a rock, you may be unfamiliar with the online multiplayer game Fortnite Battle Royale. 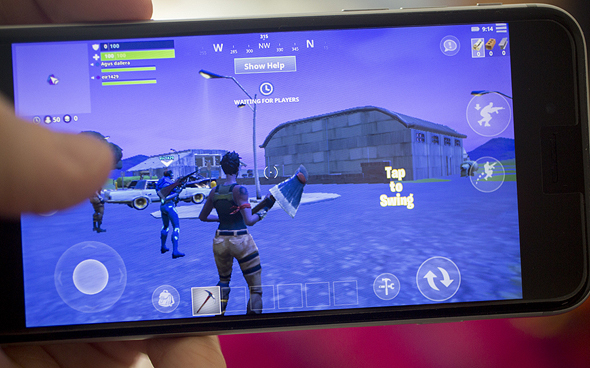 Developed by Tencent subsidiary Epic Games Inc., the ostensibly highly addictive video game has been available on multiple gaming platforms since September 2017. Fortnite, which is free to play but charges for certain additional aspects of the game, provides an enticing mashup of both first-person shooter elements, as well as the ability to break and build objects, similar to another wildly popular game, Minecraft. Fortnite itself is epically popular. For illustration, in June, 3,000 people paid to watch 50 teams—which included Fortnite fanboys DJ Marshmello and Drake—play the game live in an eSports competition for a $3 million prize pool. More than five million additional fans watched online. On Saturday, nearly eight million Fortnite players took a ten-minute break from shooting each other to enjoy virtual front-row seats to a live in-game concert by DJ Marshmello. Fortnite, clearly an international sensation with 200 million players, has become an epic cash cow for Epic Games, increasing the valuation of the company by many multiples, and bringing in over $2 billion in revenue in 2018, more than any other game in the history of the genre. But, as always with fame and fortune, where there is success, there are lawsuits. Many of those lawsuits relate to the claimed infringement of purportedly copyrighted dance moves. The plaintiffs in these cases range from Alfonso Ribeiro, who is suing over the use of his Carlton dance—made famous on the 1990s’ Will Smith television hit series, The Fresh Prince of Bel-Air— to the Backpack Kid, aka Russell Horning, who became an overnight Instagram sensation when his Floss dance was featured by Katy Perry on Saturday Night Live. The dance moves in question are provided to the players of Fortnite as emotes, or ways for each of the players to express themselves during gameplay. Emotes need not be dances per se, but many popular ones are. Emotes can be bought or won but in either case, Epic Games clearly profits off of them. In some instances, Fortnite doesn’t even try to hide the alleged pop culture sources of the dance moves, as the game refers to the Carlton dance, for example, as the Fresh Emote. Arguably much of this consternation began in July 2018, when Chance the Rapper tweeted an insinuation that artists, supposedly responsible for many of the underlying dances portrayed by the emotes, should be fairly compensated. And he’s not necessarily wrong. According to U.S. Copyright law, the illustrative list of copyrightable subject matter includes the relatively recent addition of original pantomimes and choreographic works fixed in a tangible medium. The dances at issue would seem to comply with these limitations. As per 17 US Code 106, it is forbidden to perform such copyrighted works publicly without permission from the rights holders. Despite being part of the law for some decades, U.S. courts still view the scope of copyright protection for dance moves to be an uncharted area of the law, with only a handful of relevant case law, and little in the way of relevant definitions of the intentionally ambiguous terms. Importantly, the law may or may not provide protection for simply one dance move —whatever that means— just like it doesn’t provide copyright protection for simply one musical note. Moreover, like the similarly problematic area of pervasive music sampling in Hip Hop, choreography has long suffered from a culture of “stealin’ steps:” good artists borrow, great artists steal, Picasso is said to have claimed. The same artists that are crying foul now, have probably done their fair share of mimicry in their own work. Unsurprisingly, this isn’t the only novel copyright issue within the increasingly realistic genre of video games. Sports games that seek to mimic players as realistically as possible have dealt with a number of lawsuits relating to their presentation of the players within the game. One of the emerging problems relates to the reality that star athletes are now sporting extensive copyrighted collections of various tattoo artists all over their bodies. Thus, even when an athlete authorizes the digital recreation of their body for a game, they aren’t necessarily able to authorize the recreation of their own tattoos. This creates a real legal pickle, with the players claiming that their tattoos are part of their public persona and that they aren’t accurately depicted without them, and the tattoo artists—or the companies that buy up the potentially lucrative copyrights—who demand to be compensated whenever the tattoos appear in a game or the games’ promotions. Like dance moves, tattoos seem to be copyrightable, at least according to recent case law. Notably, Mike Tyson’s tattoo artist sued the makers of the 2011 movie The Hangover Part II, not notable for much else, for the use of Tyson’s signature face tattoo in the film. Before the case was settled out of court, the judge decided that the tattoo and its design are copyrightable subject matter. A ruling last spring by U.S. District Judge Laura Taylor Swain similarly allowed the court to consider the merits of the tattoo artists’ arguments, and to proceed with a lawsuit against sports video games. The tattoo cases and the lawsuits brought regarding dance moves are both essentially issues of first impressions. There is little to no close-precedent for either sets of cases, especially at the appellate level. 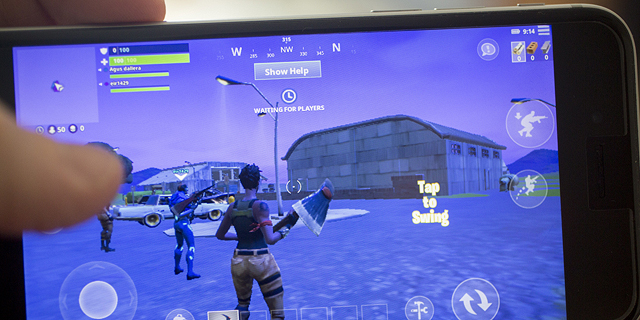 Moreover, at least for the Fortnite dances, given the ambiguity of the law, and the relative novelty of the format, it is possible that game developers will find safe harbor in copyright’s fair use doctrine, or in the fact that most of the emotes are potentially uncopyrightable single dance moves. It is also possible that the video games corporations will use their increasingly substantial financial clout to effectively question the required originality of the tattoos and the dance moves. After all, as we have already established: good artists borrow, great artists steal.